For thousands of years, micro-organisms have been used to facilitate chemical reactions – in beer brewing, for example. However, biochemical processes are incredibly complex, with a multitude of reactions taking place simultaneously and influencing one another. There are countless parameters that play a role, not all of which can be directly measured. Many chemical reactions are easy to understand: if hydrogen is burned with oxygen, water is produced – in a clearly predictable manner and in a volume that can be precisely calculated beforehand. But how can you calculate how quickly a fungus will grow and proliferate under the constantly changing conditions in a bioreactor? "For a long time, processes like this were seen as a 'black box' that cannot be understood and that can only be effectively exploited with a lot of experience," says Prof. Christoph Herwig, who leads the research group for bioprocess technology at TU Wien's Institute of Chemical, Environmental and Bioscience Engineering. 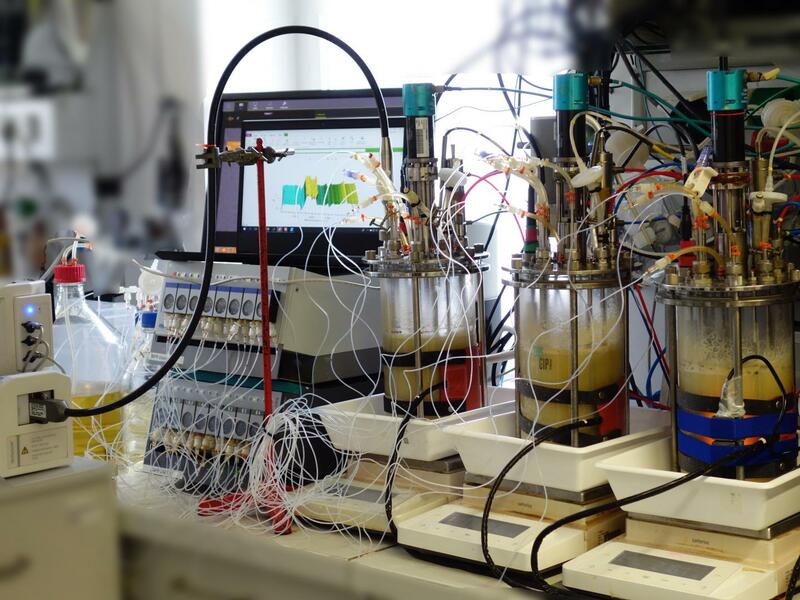 "Our approach is somewhat different: we want to analyse the chemical processes in a bioreactor in detail and determine the equations that describe these processes." The aim is to produce a mathematical model that accurately replicates these processes within the bioreactor. "Many parameters that are vital to the process simply cannot be directly measured, such as the growth rate of the micro-organisms," explains Julian Kager, who is working with Sandoz GmbH as part of his dissertation. "This is precisely why a comprehensive mathematical model is so useful: we use accessible data from the production process in real time, such as the concentration of various substances in the bioreactor, and use our computer model to calculate the most probable state of the process." The parameters that can't be measured can therefore be calculated. The system of equations used to mathematically describe the bioprocess is as complex and multifaceted as the process itself. "The system of equations describes a non-linear dynamic system. Even the smallest variations in the starting conditions can have a huge impact," explains Kager. "This means it's not really possible to simply work out a solution by hand; instead, relatively elaborate computer simulations are required to obtain the needed results." The process model and algorithms developed at TU Wien are now being used by Sandoz GmbH for its penicillin production process. "We are very pleased that our basic research has been adopted for use in industry so quickly and that our approach of biochemical modelling is now being used to facilitate the automated control of pharmaceutical production processes," says Julian Kager.